It seems like a cosmic joke. 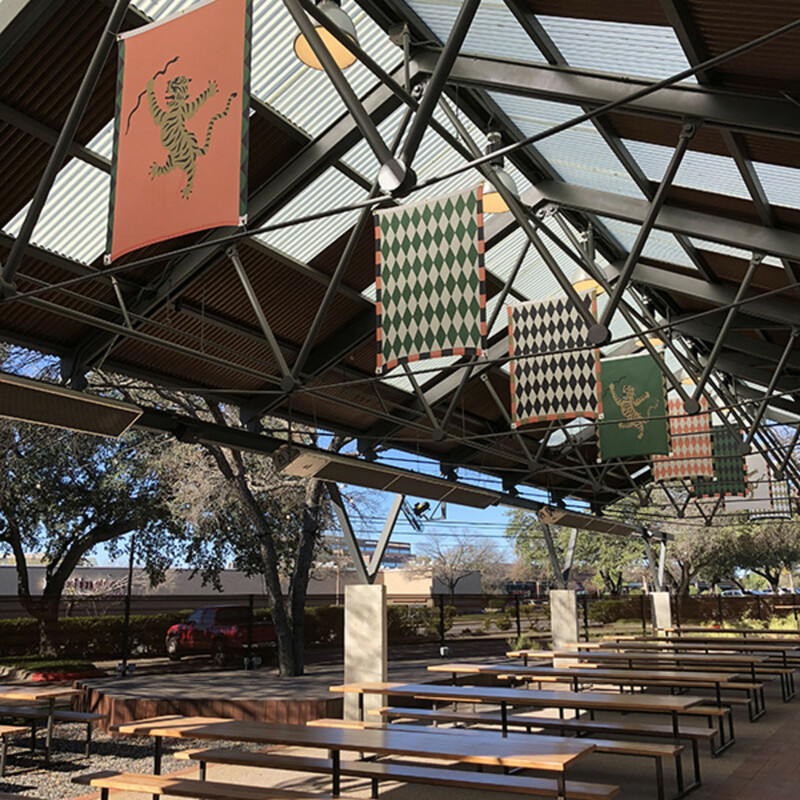 Over the past few months, several stunning new restaurant patios have debuted, but it has been too chilly and wet to enjoy them. Now that the skies are starting to clear, it’s finally time to check them out. Grab the dog, grab a beer, and chill. 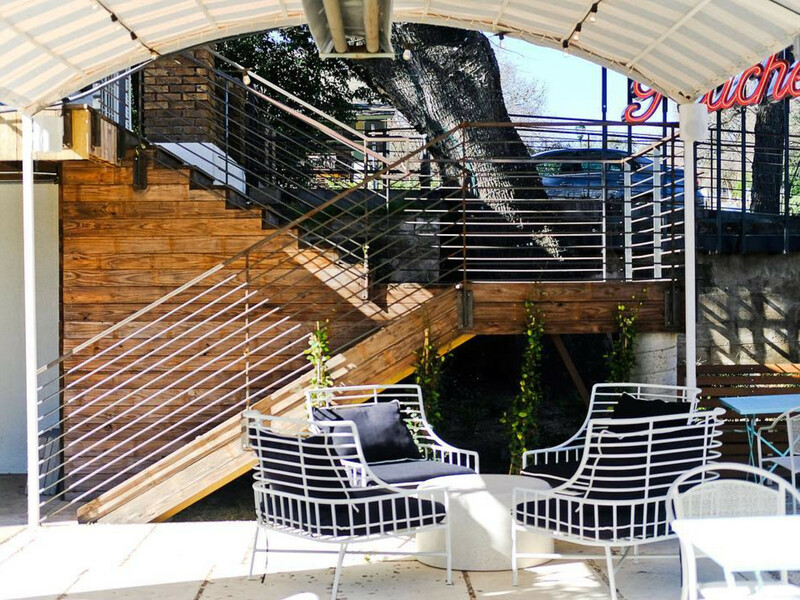 Nestled in the charming cottage that once housed West Austin’s Winflo Osteria, the latest edition to the Peached Tortilla family has made great use of the space's sunken patio. 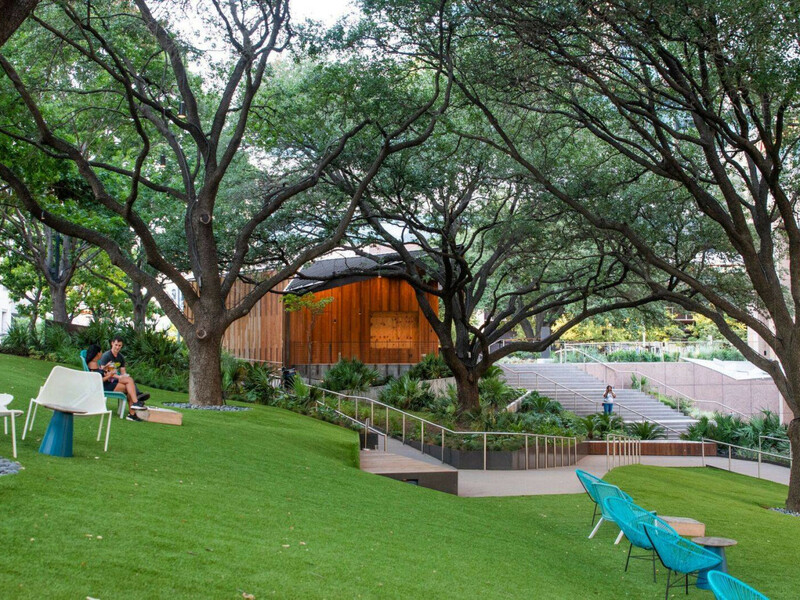 With added landscaping and divider walls, the new hideaway has the feel of a beachside resort with a menu that keeps the tropical vibes flowing. Favorites include chili crab toast with a sprinkle of parmesan and Korean wings in a sweet-spicy-salt gochujang soy glaze. Both pair beautifully with a dry sparkling rosé. 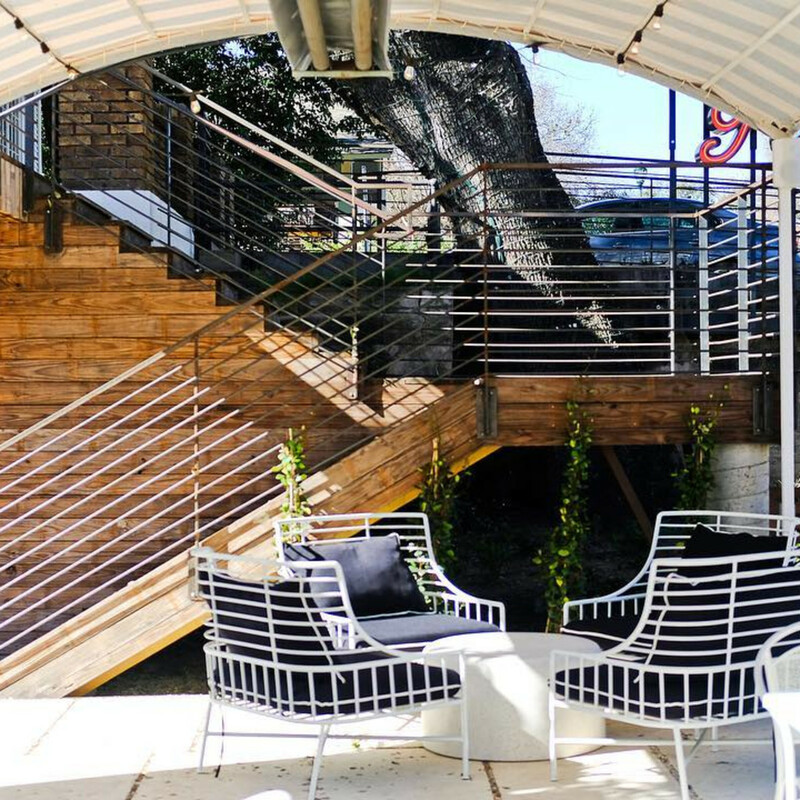 Finish a Warehouse District with a visit to celebrity chef Jason Dady’s newest eatery. Open until 2 am on Friday and Saturday, the restaurant is an essential post-game spot, especially since the menu items like the stuffed bean, carne guisada, and bacon trash can taco is only available late nights. One word of warning, however: the margaritas are extra stout. Make sure you have a ride share app on your phone before you go. 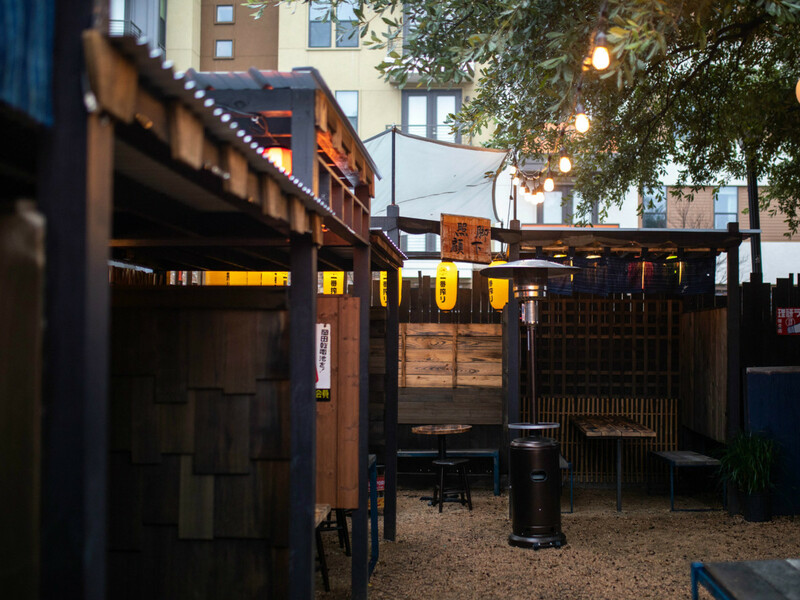 A monumental lucky cat and rows of hanging red and white lanterns at the entrance is the first clue that the experience at this East Sixth Street hot spot is unlike anything else in Austin. 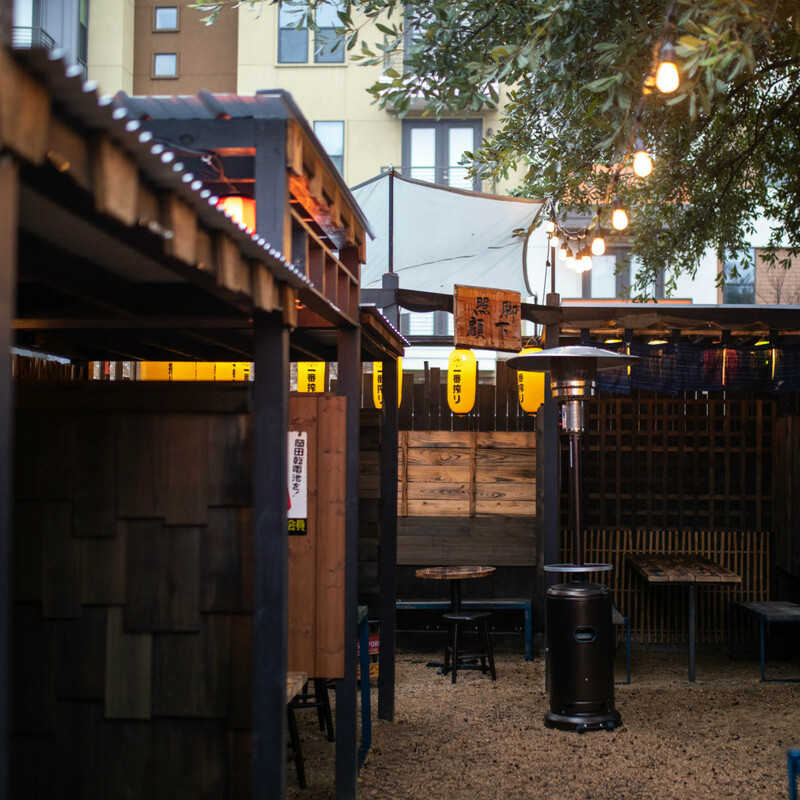 Once past the door, revelers will find an ATX version of Tokyo’s yokocho (alleyway bar districts) that is open to the moon but still immersive. When the thermometer heats up, order the Ban Ban Dog wrapped up in a panko-flecked brioche bun and a Kirin Ichiban lager with a frozen foam cap — an all-American combo that’s still fully Japanese. 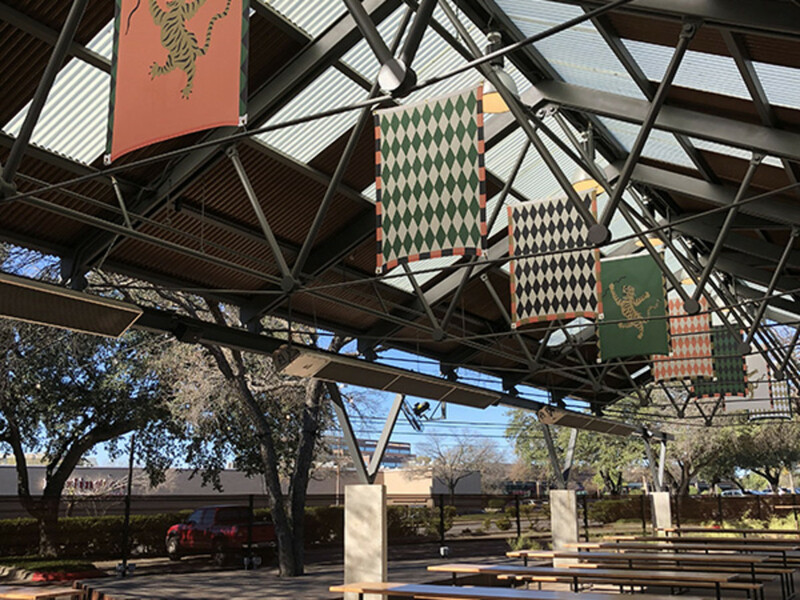 A sunnier version of its downtown sister restaurant, this beer garden offers something for the whole family. 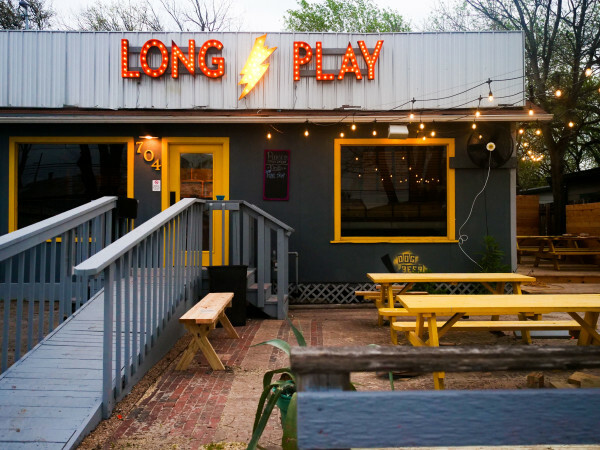 Kids will enjoy the sprawling stomping grounds, pups can happily nose around, and adults can ease in with one of the best craft beer selections in town. All can get down with the friendly food menu featuring the same great sandwiches, sausages, and snack boards as the original. A narrow sliver on the side of the building, Uncle Nicky’s patio is an eavesdropper's dream come true. 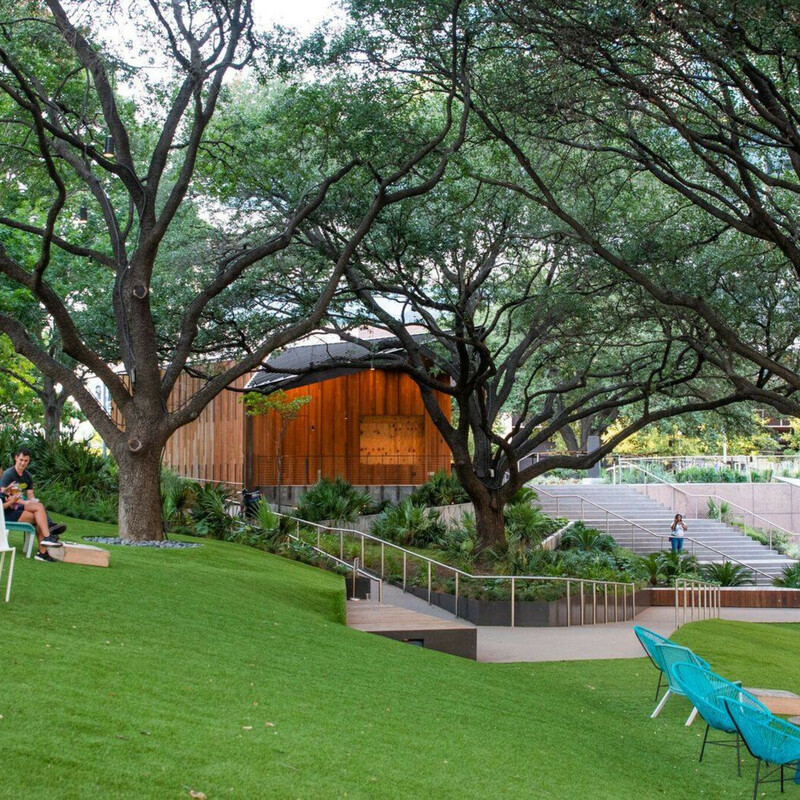 Park somewhere near the middle with a classic Caesar salad and an order of cherry peppers stuffed with mortadella and provolone to pair with your laptop or a good novel. Or down a couple of cocktails (the Garibaldi with “fluffy” orange juice is a delight) to join all the hubbub yourself. Considering that the Fareground food hall has been around for more than a year, this is a bit of a cheat. 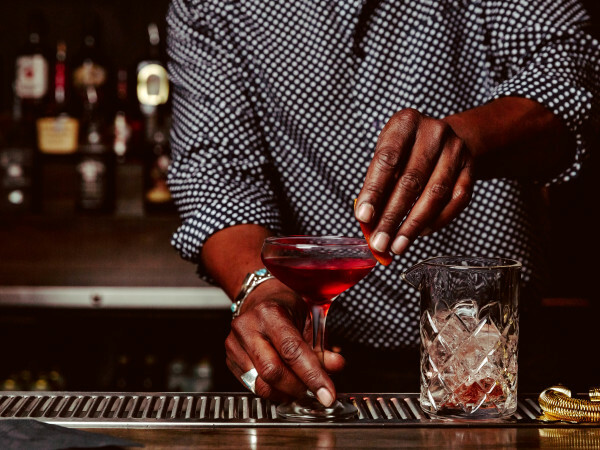 But this new collaboration between Tavel Bristol-Joseph and Kevin Fink of Emmer & Rye and Bertie Richter of Hummus Among Us gives something new to try in the sunny outdoor space. Small plates like roasted cauliflower with labneh and the zesty Israeli salad make perfect mid-afternoon snacks. The hefty kofta sandwich is a solid foundation for a night out at the downtown bars.